Toronto, ON (September 18, 2015) – Christmas has come early! 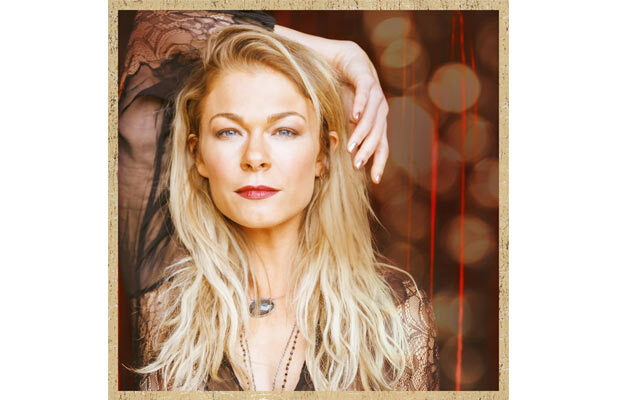 Grammy Award Winning singer-songwriter LeAnn Rimes will release her new Christmas album, “Today is Christmas”, on October 16, 2015. The album was recorded in Los Angeles at Capitol Recording Studios and Sunset Sound Studios; and was co-produced by Rimes, Darrell Brown and Niko Bolas. Rimes also co-wrote two original songs for the album, the title track, “Today is Christmas”, as well as “I Still Believe in Santa Claus”. Released by Kobalt Label Services, “Today is Christmas” will be available for pre-order on iTunes and Amazon today, September 18, 2015. The pre-order will include an instant grat track, “Celebrate Me Home”, a holiday favorite that Rimes recorded as a duet with Grammy nominated artist, Gavin DeGraw. CLICK TO LISTEN HERE: http://smarturl.it/leann_cmh. To make the album even more merry and bright, Rimes also teamed up with hit recording artist Aloe Blacc for a soulful duet of the song, “That Spirit of Christmas”. To celebrate the new record, Rimes announced that she will be hitting the West Coast on her annual Christmas tour which will be appropriately called, “Today is Christmas”. The tour kicks off in Tacoma, Washington on December 4th with Ellee Duke opening. For more information on LeAnn Rimes and her tour dates and tickets, please visit: www.leannrimesworld.com and visit www.youtube.com/user/leannrimesofficial. LeAnn Rimes has global sales of more than 42 million units, won two Grammy® Awards, three Academy of Country Music Awards, two World Music Awards, one Country Music Association Award, one Dove Award and 12 Billboard Music Awards. Rimes is the youngest recipient of a Grammy® Award, and was also the first country recording artist to win in the “Best New Artist” category. Rimes has placed 42 singles on the Billboard Hot Country Songs chart, 13 of which are top-10 hits, and has scored numerous hit singles in her career, including “Can’t Fight the Moonlight” which went #1 in 11 countries, and “How Do I Live,” which is the second longest charting song ever on the Billboard Hot 100 chart. Kobalt is the leading independent music publishing and global music rights management services company. Kobalt’s Music Publishing, Label Services and Neighboring Rights divisions each offer an alternative to the traditional music business model, empowering artists, songwriters, publishers and labels with advanced technology, transparency, flexibility, ownership and control. Kobalt has built the most trusted brand in music among music creators including Lenny Kravitz, Nick Cave & The Bad Seeds, Big & Rich, David Gray, Martina McBride, Noel Gallagher, Brian McKnight, The Pet Shop Boys, Joss Stone and others. For more information on Kobalt, please contact: info@kobaltmusic.com, or visit us at www.kobaltmusic.com.